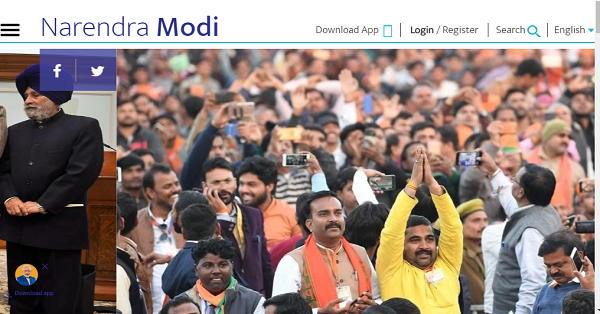 If you are a visitor of website of PM Narendra Modi, you must be concerned. A French hacker has claimed today that Narendra Modi site is vulnerable and data transacted over the site could be compromised. “Hi Narendra Modi, A security issue has been detected on your website. An anonymous source uploaded a txt file containing my name on your websites in realtime. He also have a full access to your database. You should contact me in private and start a security audit ASAP!” he tweeted. Elliot Alderson is the hacker who threatened Narendra Modi tagging him has 88.5 thousand followers on Twitter. His profile says he is a French security researcher and has been worst nightmare for Oneplus, Wiko, UIDAI, Kimbho, Donald Daters and others. He says he is not completely schizophrenic. The same hacker was once challenged by the chairman of Telecom Regulatory Authority of India (TRAI) on Aadhaar issue. He later showed him the lack of security in Aadhaar, and how easy it was for him to get his information from the main database. He even deposited Re 1 into the TRAI chief’s bank account, with the information sourced by him. He later tweeted that the vulnerability is working for the staging subdomain but also for the main website. However, the tweet said that the file uploaded was deleted on his request. PS1: I didn’t upload this file, I’m not that stupid. In a tweet after some time,he claimed that Modi team contacted him and bug was fixed.